Trip rent a car company has reached its 9 th year in car hire business with proud and always focus on our customers requests and feedback, in order to give the best service we can for a pleasant, safe and trustable holiday in North Cyprus. The owners of the company have been in the tourism business over ten years and have travel education background both in Turkey and North Cyprus. With friendly and efficient staff, new and well maintained vehicles at affordable rates, North Cyprus Car Rental is willing to go that extra mile to make your holiday in North Cyprus relaxing and enjoyable. Our main goal is just to provide you, the enjoyment of our beautiful country experimenting at the same time our culture, providing the best, safe and most efficient services available in rental cars. As you enter our office you will be greeted with a friendly smile, and the hospitality of Turkish Cypriot people. 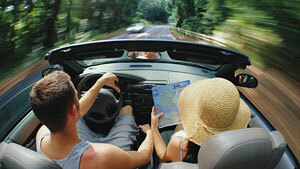 Trip Rent a Car offers the best car hiring service all over North Cyprus. Our main Office is located in the city center of Kyrenia and has a branch Office in Famagusta to give the best service to our customers. Our aim is to keep our fleet young as possible and offer a best rent a car prices in Northern Cyprus. Thats why we add new cars to our fleet every year. We try provide all kinds and models of the cars available in North Cyprus. You can reach us any time you need by e-mail or direct telephone (24 hours). Trip Rent a Car has a car hire service to United Kingdom, England and London. Please contact us to get our UK contact office number to help you for any information you need.